Advanced Dentistry of Scarsdale is very experienced in treating receding gums. You may have receding gums if you have the following symptoms; visibly long teeth, extreme sensitivity and discomfort or loose teeth. What are receding gums? Receding gums happen gradually, and many people aren’t aware they have it. Receding gums occur when gum tissue pulls away from the tooth, leaving the tooth exposed. As the root of the tooth begins to be exposed, bacteria breaks down the bone structures of the teeth which causes discomfort as the root and nerves of the tooth are more exposed to hot and cold within the mouth. Periodontal disease: This is caused by bacteria that have destroyed the gum and bone tissues that hold teeth in place. Early stages may not be painful, causing periodontal disease to go unnoticed. Red or swollen gums that feel tender and bleed may be signs of periodontal disease. Also, chronic bad breath can indicate periodontal disease. Genetics: Studies show that up to 30% of the population may be more susceptible to periodontal disease, even if they take excellent care of their teeth. Poor Dental care: Failure to brush, floss and rinse with anti-bacterial mouth wash can increase your chances of developing receding gums. Also, lack of frequent professional cleanings to remove bacteria, plaque and calculus. Hormone levels: Changes in hormones like estrogen put women at higher risk for gum recession. Bushing too hard: Brushing teeth aggressively can wear down the tooth’s natural enamel which can cause gums to recede. Use of tobacco products: Use of tobacco products can cause build-up of sticky plaque which causes gums to recede. Grinding or clenching teeth: Gums begin to recede when too much force is exerted onto the teeth. Crooked or misaligned bite: Just as grinding or clenching, teeth that don’t come together evenly put extra force and pressure on the teeth, causing gum recession. What can be done about receding gums? At Advanced Dentistry of Scarsdale, we are confident in our skills to treat receding gums. One of the ways we can approach the issue is to thoroughly and professionally clean the area to prevent bacteria from having somewhere to attach itself. We may also use an antibiotic to clear up any remaining bacteria. If you have any questions about receding gums, feel free to give us a call, and we can set up an appointment with one of our talented specialists. Invisalign is the best option available for teeth straightening, and Dr. Celenza, a Westchester Orthodontist, is qualifications for helping you use them. If you are considering Invisalign in Westchester, come visit us at Advanced Dentistry of Scarsdale. Learn below what Invisalign can do for you, and how Dr. Celenza’s expertise can help you have a straighter smile. Simply put, if you want discreet braces that quickly and conveniently give you straighter teeth, go with Invisalign braces. Can Be Dangerous For Your Teeth: If you aren’t extremely careful, sugar and food particles get caught and hidden under your braces, causing your teeth to rot. When your metal braces are removed, your teeth will be a splotchy mix of brown and white. Slower Treatment Process: Typical treatment plans take between 1 and 3 years to complete. Aesthetics: Unfortunately, metal braces can look silly which can be embarrassing. You Can Remove Your Invisalign Braces While You Eat: So you can continue enjoying all of your favorite foods without breaking your braces. Invisalign Liners can Be Removed To Brush Your Teeth: You can maintain your normal hygiene regimen, ensuring healthy teeth. Treatment Time: It only takes 9 to 15 months to complete. They’re Nearly Invisible: With Invisalign, most people you interact with will never even know that you are straightening your teeth. What Are Dr. Celenza’s Special Qualifications? Braces (including Invisalign) are normally applied by Orthodontists. An Orthodontist is a dentist who treats irregularities in your teeth and jaw. With that training, they are able to apply braces and ensure they’re straightened in a healthy way. While Dr. Celenza is a trained and certified Orthodontist, he also is one of the few dentists in the United States that has additional qualification to give you even more benefit: he is also a certified Periodontist. A Periodontist specializes in the prevention, diagnosis and treatment of diseases of the gums, teeth and mouth. With his hybrid orthodontic–periodontic training, Dr. Celenza can make sure your teeth are straightening in a way that is healthy, and he can also identify any other risks to your health like gingivitis and periodontitis. With our experienced clinicians and staff at Advanced Dentistry of Scarsdale, you will know that you are in good hands. Come to our Westchester dental practice by scheduling an appointment to enjoy our comfortable office so you can start your Invisalign treatment with Dr. Celenza now. Finally have the straight smile that you deserve with Invisalign! Dry Mouth– While you’re putting in the miles, you probably haven’t realized that your heavy breathing is leading to dry mouth. A dry mouth isn’t just uncomfortable, it’s also a hazard to your dental health. Saliva is important because it provides calcium, fluoride, and phosphate ions at the tooth surface. It also helps wash away food debris that cavity-causing bacteria can feed on. Frequent Snacking– Runners need fuel. Especially endurance runners who are running a lot and for long periods of time. 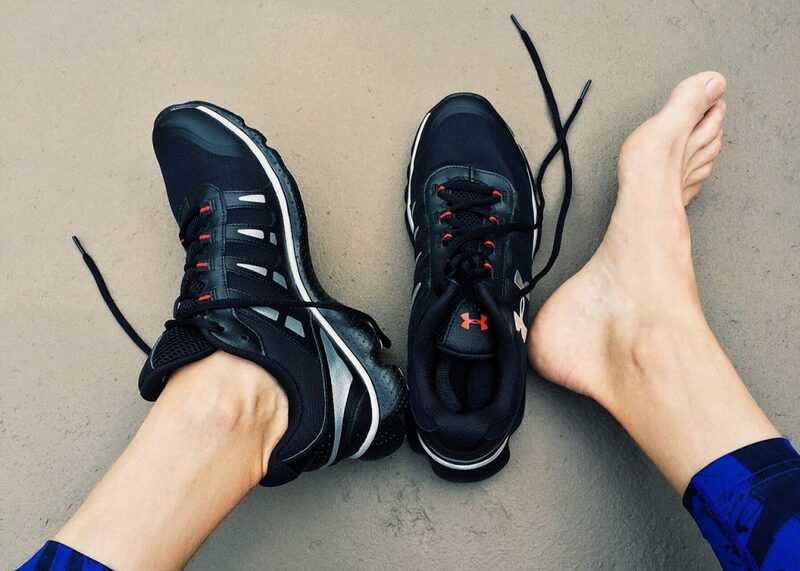 If you are running you probably find yourself snacking a lot throughout the day. While this may be optimal for training schedules, it can be dangerous for dental health. Each time you eat, the pH in the mouth is altered and become more acidic. Acid eats away at your enamel making your teeth weak and more prone to cavities. Sugary Sports Drinks– The simple sugars in sports drinks are helpful for fueling muscles but can end up causing significant harm to oral health. Bacteria in the mouth metabolize sugars and create an acidic substance as a byproduct. As stated before, an acidic environment in the mouth will weaken the outer protective layer of enamel, increasing your odds of suffering from tooth decay. Don’t worry, there are some ways that runners can lower their risk of tooth decay. Follow the suggestions below and you should be on your way to better dental health. Swish your mouth out with water immediately after you have a sugary snack or drink. Eating a healthy diet and plenty of non-sugary beverages and food when you aren’t running. Choose gels with a thinner consistency that don’t stick to your teeth when possible and seek out flavors without citric or tartaric acid. Drinking water or even rinsing with it can rehydrate your whole mouth and body and restore balance. Chew sugar-free gum sweetened with xylitol which can help prevent plaque build up. Brush at least twice a day and flossing and establishing these as daily habits. Visiting your dentist often. This is one of the most important. Any cavities or other dental problems are detected here and can be addressed soon after diagnosis. Visiting your Westchester family dentist today will help solve any existing dental problems that you already have. Establishing a dental home is important and will help you to keep up good oral health habits. 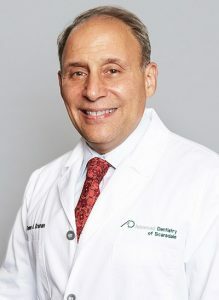 Advanced Dentistry of Scarsdale is one of the best dentists in Westchester and is here to serve you. Schedule an appointment today! So many goals and resolutions are being made this time of year. Many people set goals and resolutions to improve their physical and mental health. Improving your dental health is also a great set of goals for the new year. Here are 5 ways to get a brighter, healthier smile in 2019. Surprising or not, the difference between a healthy smile and dental problems is your diet. Even if you have perfect oral hygiene, it might be hard to keep your teeth healthy if you don’t watch what you eat. There are many types of food that can give a big boost to your oral health. Some of the foods that are good for your teeth include celery, apples, cucumbers, carrots, bell peppers, and yogurt. There are a lot more foods you can enjoy that are good for those pearly whites. While water is vital to your overall health, it can also be a natural cleaner for your teeth. Drinking water throughout the day helps wash away some of the sugars and food particles from your teeth that can cause stains and cavities. Water can also fight bad breath by keeping away some certain types of bacteria that thrive in a dry mouth. 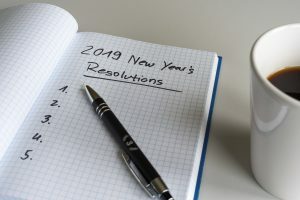 If your dental hygiene habits have been lacking over the years, make 2019 your year to establish good habits. Brush at least twice and floss daily to keep your mouth clean and healthy. Visit your Westchester dentist regularly to prevent dental problems in the future. Believe it or not you have to focus on more than just your teeth if you are serious about keeping them white and clean. Your tongue contains bacteria on the surface and by cleaning it twice a day it will remove that bacteria. It helps to keep your breath fresh and keeps your teeth clean and bright. For those that want that extra sparkle and extra boost of confidence, teeth whitening in Westchester is a good option for you. We offer safe in-office and take-home teeth whitening options. Give our Westchester cosmetic dentist office a call today and we can discuss the different options we have that can help give your teeth that extra white sparkle that you’ve always wanted! Happy Holidays from your Westchester Dentist! Advanced Dentistry of Scarsdale wants to wish you happy holidays and a wonderful new year! Around this time of year, we like to think about all the things we have accomplished this year. We said goodbye to Dr. Calagna, who retired earlier this year. He moved to Florida with his family, and we wish him all the best! Dr. Brisman had the wonderful opportunity to work with Dr. Goldstein in Chappaqua, and created a sister practice to Advanced Dentistry of Scarsdale. If you life in the area, head over to Chappaqua Dentistry, where you can expect the same standards and quality dental work. Whether you need dental implants, veneers, or teeth whitening, Dr. Goldstein will provide the utmost care and attention to detail. Dr. Brisman will also divide his time between the Scarsdale and Chappaqua offices. We are excited to see what 2019 brings! This next year, we resolve to provide excellent dental care to all of our patients. Our clinicians and hygienists take continuing education courses throughout the year, so they can stay on top of the latest dental technologies and practices. If you need gum disease treatment, Drs. Loshak and Celenza have over 30 years of experience treating patients in every stage of gum disease. If you’re looking for cosmetic dentistry in Westchester, Dr. Brisman and his team have many options available for you this next year. From our fast, non-invasive procedures like veneers and teeth whitening, to our permanent solutions like dental bridges and dental implants, our goal is to bring both form and function to your smile. For the next year, we would like to help our patients build healthy dental habits. The first step is scheduling a dental exam, where we will clean your teeth and identify any dental problems. We also recommend you brush and floss regularly, and try to avoid foods that can stain your teeth. Dr. Brisman and his team hope you enjoy this holiday season! We look forward to seeing you next year. Stumped on fun and useful stocking stuffers? Advanced Dentistry of Scarsdale is here to help! 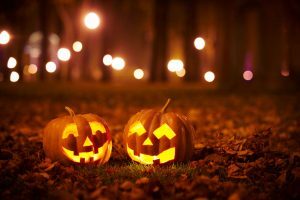 You may be tired of buying candy or small toys that either go uneaten or cause more harm than good for your family’s teeth. Here are some great alternatives that your family, regardless of their age, are sure to love! If you have a child at home, try getting them a toothbrush that has their favorite movie character on it. Colgate offers toothbrushes for Transformers, Minions, and beyond. And, you can also get a toothbrush that sings the theme song, so your children can time how long they need to brush. You can add to the hype by picking out a unique toothpaste flavor–Watermelon is a popular flavor with our kids! For your adult or teenage family members, a bluetooth toothbrush is a unique and useful gift. This toothbrush can hook up to your phone, so you can track your brushing time and technique. Improve your family’s brushing style with these unique and customizable toothbrushes! Instead of getting M&Ms, packages of dried fruit, dark chocolate-covered nuts, and other yummy snacks that won’t wreak havoc on your teeth. If you head into the Lego store, you can create your own lego person! It’s a fun, inexpensive gift to include in all of your loved ones’ stockings. Who wouldn’t like a little Lego person that looks just like them! 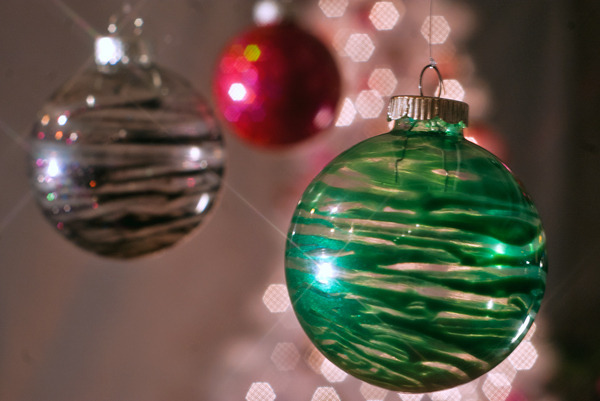 If you’re feeling crafty, you can try painting or making little ornaments to remember this holiday season. There are plenty of tutorials online on making cute holiday crafts or ornaments for both kids and adults. Are your adult family members looking to improve their smile! Get teeth whitening or veneers at Advanced Dentistry of Scarsdale! These are some of our most popular non-invasive procedures, that can instantly transform your smile. Instead of spending money on drugstore products, get our Westchester teeth whitening service that will get your loved one faster, longer lasting results. We hope you love these stocking stuffer ideas! If you would like to schedule an appointment for teeth whitening, veneers, or other cosmetic dentistry services in Westchester, give us a call today! Our experience clinicians and team members are happy to answer any of your questions and will deliver exceptional results. If you’re trying to eat healthier this year, don’t let Thanksgiving ruin your goals! Some traditional dishes you may see on your table are full of added sugars and fats, which can wreak havoc on your dental and overall health. But, we also don’t want you to feel like you can’t participate in the festivities. There are plenty of healthy recipes that you can make for Thanksgiving, and only taste like they aren’t good for you! 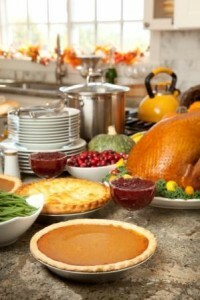 Your Westchester dentistry wants to show you our favorite healthy recipes to make for Thanksgiving. We promise you won’t be disappointed in these flavor-packed dishes! It’s true that sweet potatoes are full of more essential vitamins than the russet potato fare. The problem you run into is adding a lot of sugar to your traditional sweet potato casserole. This recipe still gets you that delicious sweet potato casserole, with less added sugar. The centerpiece of your traditional Thanksgiving table is the turkey! Turkey is a lean protein that has 30 grams of protein in just one serving! Turkey can keep you satisfied and full of energy for the rest of the day, so you can play another game of football and get started on Black Friday shopping. No Thanksgiving meal is complete without stuffing! This year, try the wild rice and bulgur stuffing. The wild rice is full of fiber, the celery gives a great crunch, and the added parsley can reduce bloat. Who can say no to the added benefits? We’ve written about how pumpkin is good for your teeth, so let’s bring in a pumpkin dish! This pumpkin souffle has all the benefits of pumpkin: beta carotene, a cancer-fighting antioxidant, that can also build immunity and fight signs of aging. Just pop in some cinnamon, which can reduce anxiety, and you’re good to go! Intead of green bean casserole, try roasting brussels sprouts this Thanksgiving. They have a great texture and flavor, and can even reduce the risk of some cancers, like breast and prostate. We hope you like these recipes! 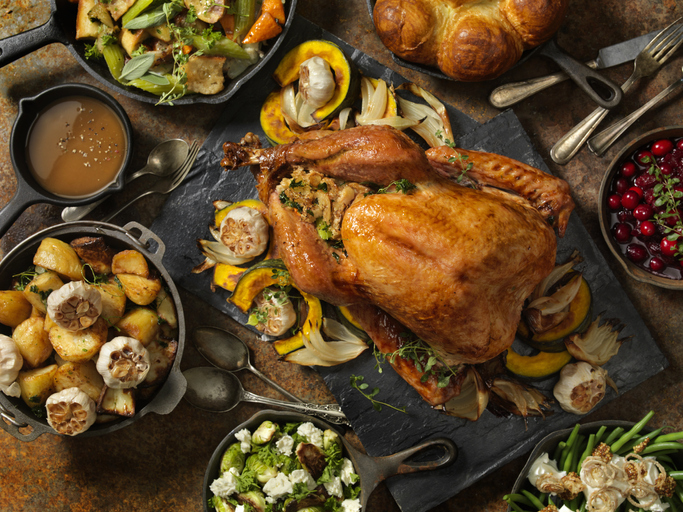 Thanksgiving is one of our favorite holidays, and we want to make sure you are enjoying your time with your friends, family, and delicious food. If you want to get your smile whitened before the holidays, contact your Westchester cosmetic dentist today! Thanksgiving is next week, and you have probably already bought all the ingredients for pies, stuffing, and the turkey centerpiece. As you start making family plans and begin the cooking frenzy, your Westchester cosmetic dentist wants to remind you that some of these hearty foods can stain your teeth. Read on to learn what foods can stain your teeth, and what you can do to avoid it. What Can Stain My Teeth? This is probably a no-brainer, but if you are hosting your family’s Thanksgiving meal, you may be drinking more coffee than normal to get through the day. Drinking too much coffee can stain your teeth. But, if you still need your cup in the morning, your Westchester cosmetic dentist recommends you limit your coffee intake. Be sure to brush your teeth afterwards, too! This is a winter staple, but it can take a serious toll on your teeth. The dark red color can stain your teeth (and your fingers! ), and the acidity in the fruit can wear away your enamel. We recommend avoiding it entirely, but if you must have your cranberry sauce, try limiting it and rinsing your mouth with water. Red wine, the bane of all white clothes and carpets, can wreak havoc on your pearly whites. But, did you know white wine can also stain your teeth? Be careful with how much you drink, and be sure to brush your teeth after you finish your glass. Some families serve salads at Thanksgiving dinner, and balsamic is a popular choice because of it’s big flavor and light calories. But, because of its acidity and dark color, too much can stain your teeth. So, we recommend you skip on the dressing, or make sure to wash it down with water. Pumpkin pie is relatively good for your teeth, but all the berry pies can hurt your enamel and stain your teeth. We don’t want you to not enjoy some pie, but make sure you add in an extra brushing and flossing session to wash away all that acid and sugar. At Advanced Dentistry of Scarsdale, we want you to enjoy your Thanksgiving holiday. 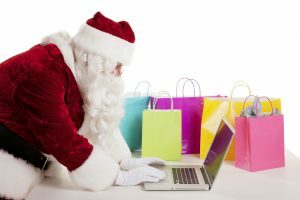 Spend time with your loved ones, eat good food, and maybe even get a head start on your holiday shopping! But, if you follow these tips, you may be able to avoid staining your teeth or getting cavities. But, if you would like to get teeth whitening in Westchester, give us a call today! Our cosmetic dentists have the latest technologies to whiten your teeth several shades in just a few sessions. See how we can transform your smile!